Earlier I wrote an entry about The Big O aka Ms Oprah and her decision to end her talk show in 2011. Now the "big" news is that Tyra Banks will end her show as well. I read this with great derision because it seems as though Tyra Banks' entire career has been as Mini-Me to Oprah. She claims that Oprah was a huge inspiration to her and while there is nothing wrong with an individual being inspired, you cannot take inspiration and turn it into duplication. Tyra never seemed to find her own voice in the five annoying years the Tyra Banks Show was on. She was always playing catch up to a woman who needed no flattery because she had sealed her place in history years before. So really, it was no great surprise that on the heels of the Big O's decision to end her successful talk show, Tyra suddenly felt like her five year old show had done its worst...sorry...best and she needed to focus on new projects. And oh look, she is focusing on film projects, just like Oprah has done already. Can someone please give Tyra Banks a hint? I cannot say I am sorry to see the lady go. 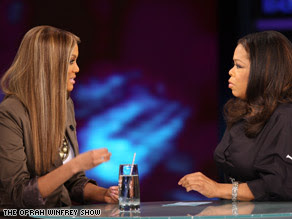 I could not understand how she won awards for this talk show that ultimately was ALWAYS about Tyra. In fact, everything usually revolves around her. She always make each moment come back to her and it this singular quality that set her way apart from Oprah. Good luck to both of them. I know which one I am rooting for though. In the service industry, poor marketing is as treacherous as bad service. If the people you are trying to reach do not know what you have on sale, what you have to offer, then how will they know to use your service over someone else's - a service that may not necessarily be better than yours, but is marketed better. Case in point: my vacation. So when I am on vacation, as opposed to quick trips, I love seeing the place. 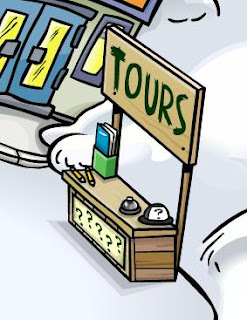 I love tours. But not all tour companies are the same and you have to really do your research to get the best bang for your buck. I did 3 tours while on vacacy, two with Apples Company, and which were easy to select and I will discuss later. The other took some doing and much googling but I managed to find it and booked it with the Bananas Company. I really wanted to do this tour so despite a total lack of web presence on the Bananas company, I booked it anyway. So the Banana Company tour started off okay, with a greeter meeting me at my hotel and accompanying me to the tour bus. While on the bus, the driver indicated that there were 2 tours that day and Group 1 would stay with him and Group 2 would transfer to another bus. It was then I realised there was no Group 3 mention, which should have included me. Okay, so... scary. I indicated to the driver that he seemed to have forgotten Group 3. He did not know about Group 3 - the group of one apparently. Okay...so... poor communication. Things were now on a slippery slope with this tour. He told me he would get more information when he dropped off Group 2. This is where I was gravely alarmed! How could you be running a service in THIS particular industry and not know what Tripadvisor was? Or Fodor's? Or Frommer's? Or Lonely Planet? I was aghast that this dude did not know any of these and how they could impact the success of his business. I don't make a travel move without consulting fellow travellers on these sites. To make it worse, brace yourself, their website is not functional. You heard me. They have a website but they don't really use it, update it, market their business using it. So I had to ask, "How on earth do you expect people to know you?" I think I was so overcome by shock that I did not hear the answer, but he was blaming Apple's underhand tactics for his business' lack of immense success. I listened to what he was saying but really did not want to hear. He claimed Apples' management gave $5 discounts to customers if they would give a review of the tour. Now I dunno about most of you, but if the tour was horrendous, it would take more than $5 to get me to glorify it. I found the Bananas company's tour through sheer persistence and even then, they operated via a third party website and not their own corporate site. revamp your website - I mean, seriously?? What was scary was that this outfit was run by people under 30! Apples on the other hand was being managed by two 40-somethings. So don't let anyone tell you that technology is youth driven. Apples' website is fantastic. It is updated daily, has an awesome chat feature which facilitated my questions about the 2 tours I booked with them, has information about the company, the staff. I mean, I knew about my driver before I met him. Apples' two tours though, were fantastic, and not self-guided. The driver was polite, knowledgeable, EARLY. I had mentioned to the customer service rep on their online chat service, that I would be taking the tour on my birthday while making my booking a week before, and as soon as they picked me up at the hotel, they were waiting for me with cake and singing. The service was amazing and any allegations of paying customers $5 had to be a lie cause I would not have taken their $5. Their service spoke volumes and they deserved every single positive review they got on Tripadvisor. So on top of a fab wesbite and great social networking, add super great service and after service. Apples came out a huge winner and got a great review from me to add to a slew of glowing reviews from fellow travellers. Bananas...well, I wish them well. As for the issue of commercialization, it should be obvious that the Wise Men went Christmas shopping. Gold doesn’t grow on trees, and frankincense and myrrh require human labor to produce. Merchants have been capitalizing on the holiday since the very first Christmas. - David Chilton, from the article, "Let's Keep Christmas Commercialized." I thought the above was funny and possibly true. 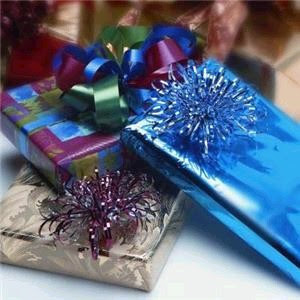 The wise men were the first Christmas shoppers and okay, there may be nothing wrong with some shopping for loved ones. This does not mean that we "loathe Baby Jesus" as Bill O'Reilly suggests, but wow...we have taken the simple act of gift giving to frenetic extremes. For the past couple years, I have banned myself from becoming a victim - of Christmas. One year, I paid $10 for a taxi ride to the mall - on any other day, it would have been $3. But these mischievous, cannibalistic, opportunistic drivers saw fit to make a killing cause they knew there would be stupid, desperate people like myself who would fork over the extra 7 dollars to get that present or those new sheets. I now sit back in my house, with my car safely parked in my driveway, and my credit cards hidden away in my purse, no longer a victim of the media fuelled frenzy. You pick up the paper today and you're likely to see hundreds of ads where merchants are pulling you into their shops with the promise of Christmas gratitude. Or the promise of your fantasy home, the perfect HGTV/Martha Stewart-esque home for entertaining legions of envious friends and family. So what? My mum will not love me if I don't buy that expensive necklace or gadget? My house will not be fit or holiday entertaining if I don't come to your store and drop hundreds and hundreds of dollars? But where are the ads which remind shoppers that there are still 31 days in January which one must get through AFTER the madness of Christmas consumerism? Because even the banks get on the money-grubbing bandwagon with loan sales, credit card offers and the like. I am not advocating Scroogey/Grinch like behaviour, but don't get caught up in the hype. I just follow 3 easy steps to ensure I am not ringing the bell on a street corner in January to pay for food and gas. 1. Have a budget. Even Christmas requires a solid plan, so outline how you're going to spend this money and stick to it. Be reasonable and practical and include all your regular expenses like mortgages, utility bills etc. Cause guess what? They don't stop coming. 2. Make a gift list, trim your gift list, stick to your gift list. Not everyone can get a present. I only shop for my parents and my brother and I stick to this. The only other Christmas expense I incur is for a family or person who needs a hand during the holidays, and this year it was Hannah Lendor. So I don't do Secret Santa at work and that nonsense. Keep it simple. Keep it clean. Keep within my budget and my tried and tested gift list. 3. Shop early. Rush shopping means crap shopping means expensive shopping. You end up buying crap on the go or something you may not have budgeted for because you're all sweaty and harassed in a store packed with other last minute shoppers. Newsflash: Christmas is the SAME DAY EVERY YEAR. lol. So you can plan for it. I have nothing left to buy. Shopping is complete. It's been a great vacay thus far, and I want to thank everyone who has already sent birthday wishes and those who WILL. Much love and thanks to all my friends and loved ones who constantly remind me I am super duper blessed. Will write more when I get home. December 1 is World AIDS Day and I am sorry if you did not know that cause some of us are one day type of people. We know we should celebrate each other every day but we show it on birthdays or Valentine's Day. We should love our parents each second of their lives but we bring out the presents and pampering on Mother's Day and Father's Day. We have commercialised Christmas to the point where maybe even Jesus needs to ask for an invitation so will not comment too much about this. But you get my point. We are one day people. 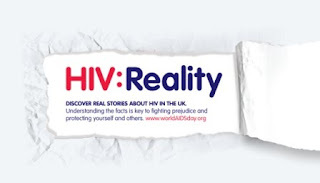 So if you are a one-day person and still did not know December 1 is World AIDS Day then that is tragic. It is doubly tragic because this is not a one-day type of disease. 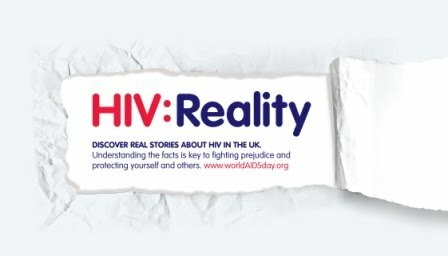 It is not just one day we should recognise the efforts of those who are working to either find a cure, educate those who need to be educated on the epidemic, eliminate stigmatisation of the disease and victimisation of the infected, or merely supporting those who have been directly and indirectly impacted by HIV/AIDS. HIV/AIDS is a 365 day, and in a leap year, 366 day, 24/7 phenomenon which we need to pay urgent attention to. And don't leave it to your local leaders or your doctors or your social workers to make a difference. You can make a difference through simple acts. - Wear a condom. Wrap it up. Ladies, don't depend on the man to walk with the latex either. We can vote, we can run countries, we can take over the world, so dammit, we can buy our own condoms and keep them in our purse. - Be faithful. The swinging lives of our youth, the reclaimed lives of our middle ages, and even in our second spring should not have to be reckless. - Abstinence, the word, the concept, often generates laughter and ridicule but if you can, don't let anyone tell you otherwise. - Support an NGO. Support those who work so tirelessly to support those families affected by HIV/AIDS. Volunteer at a clinic or assist in an outreach programme. - Educate yourself. Educate your loved ones. Educate strangers. Don't leave it to social programmes to get the word out. We are all part of this massive social undertaking to eradicate HIV/AIDS. So why leave it to chance? Why hope that the local systems will touch that life today, when it may be so under-resourced that it may not get to that life until it is too late. - Stop the hate. Ignorance and discrimination hinder education. The "that cannot happen to me" and "she was promiscuous, she look for that" mentality will not help us, but rather it will hurt us. You cannot get it from showing basic human decency to another. I did not mean to make this so long and I meant to really just show how social media can be harnessed in a powerful way but I think you guys know this already. I meant to just share some retweets from @JoinRed. But you know what you have to do. So just do it. Don't just turn Twitter red. Don't just turn Facebook red. Make a difference in your community. Make a change in your own life. Be the change you want to see.